Red and pink might be the official colors of Valentine’s Day, but this year, consider introducing a new color: green. 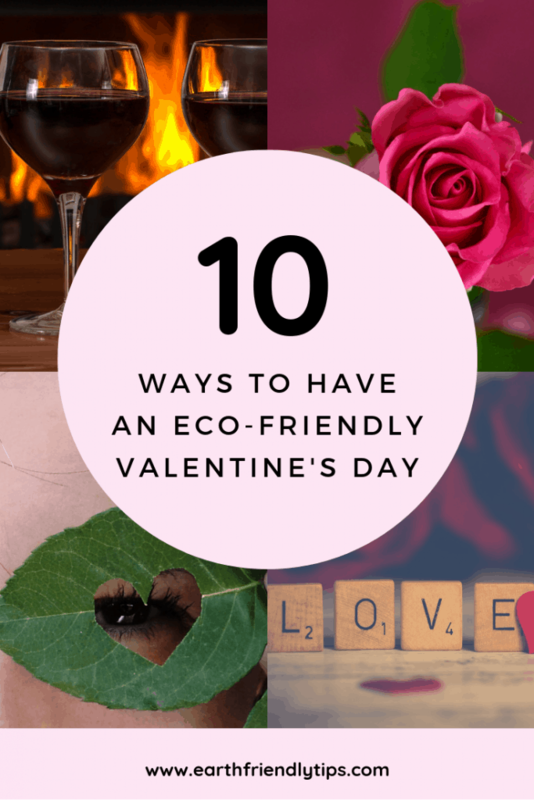 Discover just how easy it is to show your sweetheart how much you care while still having an eco-friendly Valentine’s Day. If you’re trying to come up with a great gift for your sweetheart that doesn’t hurt the environment, be sure to check out our 14 best eco-friendly Valentine’s Day gifts. Roses might be a popular gift on Valentine’s Day, but they’re hard on the environment. Roses are typically grown using a lot of artificial light and heat. Then they rack up the carbon emissions when they’re shipped all over the country. Plus, they just end up dying and being thrown away a few days later. Rather than get your sweetheart a rose bouquet, have an eco-friendly Valentine’s Day by choosing a potted plant that everyone can enjoy for years to come. If you really want to show your Valentine how much you care, give them one of these hard-to-kill houseplants that are great at boosting indoor air quality. Along with roses, chocolate is another popular gift on Valentine’s Day. Unfortunately, many people don’t know that deforestation, child labor, and impoverished working conditions plague cocoa production. If you still want to give your love some chocolate, shop for fair-trade chocolate to support better working and growing conditions. Fair-trade chocolate is often shade-grown, which protects rain forests. It also ensures farmers have safe working conditions and are paid a fair wages. If you want to make your gift extra-special, consider Endangered Species Chocolate, which donates profits to help protect wildlife and habitats. You can even have some fun by getting a Make Your Own Chocolate Kit that contains fair-trade cocoa butter and cocoa powder to make something special with your Valentine. 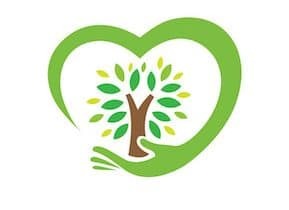 If you tend to skip the flowers and chocolates and give a gift, you can have a green Valentine’s Day by choosing an eco-friendly gift. These eco-friendly candles feature soy wax for a cleaner burn, essential oils for a safe fragrance, and beautiful tin canisters you can reuse. Our Earth Friendly Tips shop also has some great eco-friendly gift options. Our rose petals soap have the light scent of rose and completely dissolve in water, which makes them the ideal addition to those romantic soaks in the tub. 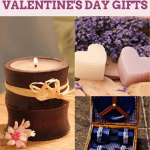 If you prefer to make a Valentine’s Day gift rather than buy one, consider an upcycled gift. When you create an upcycled gift, you take something that has already been produced and give it a new life. If you’re having problems coming up with an idea for an upcycled gift, Recyclart has 20 awesome ideas you can use for inspiration. Once you pick out the perfect environmentally friendly gift, keep your eco-friendly Valentine’s Day going by wrapping it in zero-waste gift wrap. You can’t recycle most traditional wrapping paper. However, this seeded gift wrap is made from recycled paper and embedded with wildflower seeds. When Valentine’s Day is over, simply plant the paper in the soil and watch for beautiful flowers to grow. According to the Greeting Card Association, Americans will spend $1 billion on cards and exchange 190 million cards on Valentine’s Day. When you’re getting your eco-friendly seeded wrapping paper, don’t forget to pick up an eco-friendly seeded card as well. These seeded cards are made using recycled paper and earth-friendly ink. When Valentine’s Day is over, plant the card and enjoy the colorful flowers that will bloom from it. If you’re planning a romantic evening for your sweetheart, you might be thinking about getting a bottle of wine. If you do, make sure it’s an eco-friendly organic wine. Organic wines are made using organic grapes, which means you won’t have to worry about any harmful pesticides included in your drink. Even better, not only did a study performed by UCLA show that eco-certified wines taste better, but they’re often cheaper than traditional wines. If you’re planning on taking your love out to dinner, have an eco-friendly Valentine’s Day by choosing a farm-to-table restaurant. Farm-to-table restaurants use locally grown food and ingredients to prepare their dishes. When you dine at one of these restaurants, you’re supporting local farmers and decreasing carbon emissions from fossil fuels used to transport foods. Even though perfumes smell great, they can contain harmful chemicals that can cause skin irritations, headaches, and even cancer. Enjoy an eco-friendly Valentine’s Day by skipping the perfumes and going with essential oils instead. 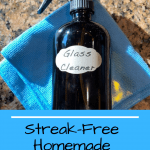 You can even make your own custom scents by combining your favorite essential oils and a carrier oil. Spend the evening with your Valentine mixing and matching scents to see which ones you like best. Another popular gift on Valentine’s Day is jewelry. If you want to make this tradition more eco-friendly, look for a piece of vintage jewelry at an antique store or flea market. If you can’t find anything you like that’s already made, you can have an eco-friendly Valentine’s Day by purchasing jewelry made by a local artist. You can also buy jewelry made with recycled materials. For example, Moneta Jewelry employs artisan jewelers who make pieces using recycled glass, metal, and other materials. 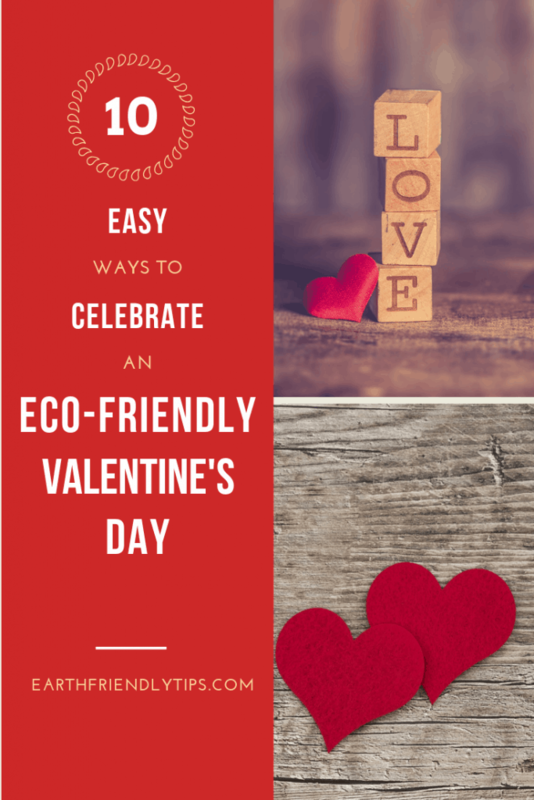 This year, show the environment and your sweetheart how much you care by using these tips to have an eco-friendly Valentine’s Day.